Closing in on the end of the Dog Days of Podcasting, Tee covers a simple mantra for writers everywhere: Just write. You love to write in your office, in your favorite slippers, during a rainy day with a cup of coffee. That’s cool and all, but there are those times where the setting won’t be picture perfect. Too bad. Write. Shout out to Nobilis Reed from Nobilis Erotica and This Kaiju Life for the voicemail. Thanks! 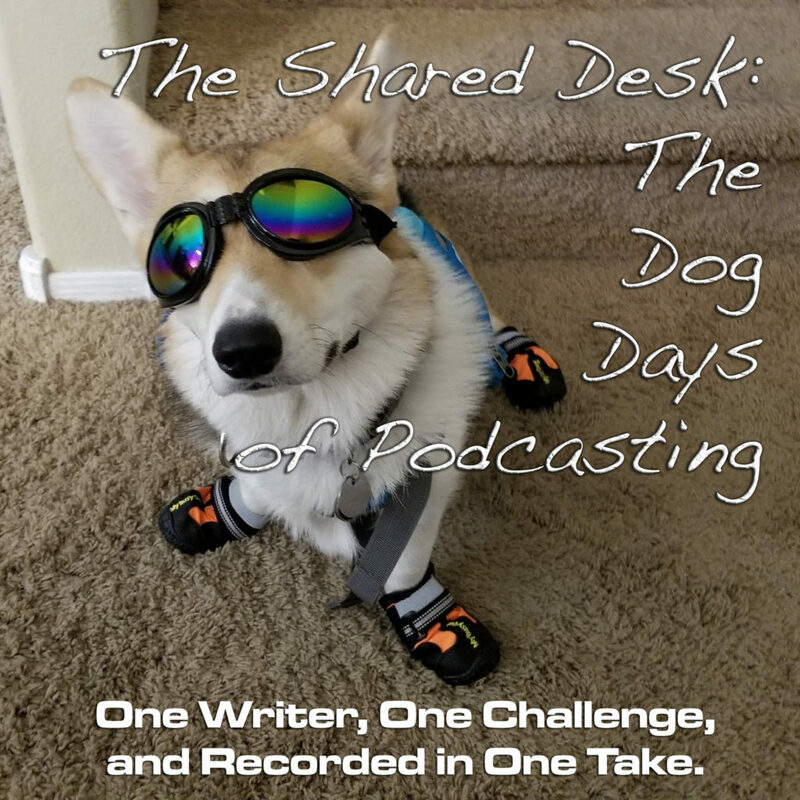 For today’s Dog Days of Podcasting entry, Tee returns to the subject of raising the stakes; but instead of doing so from the character’s P.O.V. we think bigger, we look bigger. How safe is the world or the environment they are in? The real world is a dangerous place. How dangerous is yours? He also ties this episode back to the bad book he was reading. He finished it. And Tee talks about it. Two worlds collide today on the Dog Days of Podcasting as Tee looks back on his theatre days and finds a lesson that also applies to the writer’s craft. There’s a lot you can learn about the story you’re telling when you listen.